THE portrait of Queen Elizabeth 2 will be removed from Fiji's bank notes and coins, according to a report in the Fiji Times today. Fijian bank notes come in denominations of $50, $20, $10, $5 and $2 - although the smallest note is to be replaced by a coin, according to the report, which will also not feature the queen. 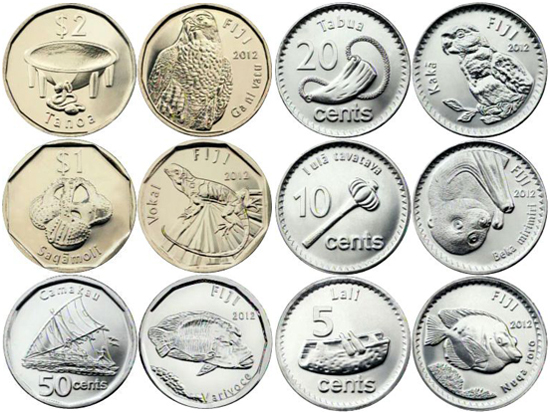 "Important and iconic flora and fauna of Fiji have been selected to replace Her Majesty Queen Elizabeth 2's portrait and to feature on the obverse side of the new $2 coin," Prime Minister Commodore Voreqe Bainimarama, who seized power in a 2006 coup, said. The new design notes and coins, including the new $2 coin, will be introduced into circulation around June 2012. The move comes 24 years after the Pacific nation and former British colony declared itself a republic - a move which came shortly after Fiji's first coup in 1987. Fiji was suspended from the Commonwealth in the 1990s, re-admitted, then suspended again in 2009. In the Pacific, the queen remains on the currencies of Australia, New Zealand, Papua New Guinea and the Solomons.